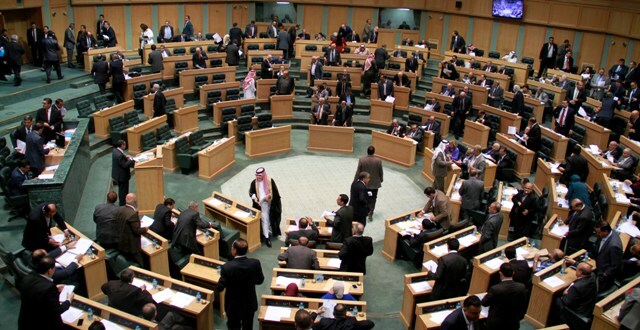 The controversial and unpopular draft civil retirement bill that was voted by the Jordanian parliament has been rejected by King Abdullah. The bill was openly criticized by the public as a move meant to further increase the wealth of the politicians. The parliament voted to grant members lifetime pensions equal to the ministers. There was a massive public relief when it was announced on Monday that the King has rejected the bill because it is detrimental to the pension system and also defies justice. This is the second time the king has rejected such a bill from the parliament. The previous one was in 2012 and the latest one is but a revised version. According to a government official willing to remain anonymous, the parliament’s aspiration of a pension tied to a minister’s basic salary which is JD3000 per month means that JD6 million will be allocated for it annually without forgetting that the amount will increase after every parliamentary election. The rejected bill increased the parliament’s pension from JD1500 to JD3000. MP Tariq Khouri, who voted against the draft bill, said the proposal to grant lawmakers permanent pensions is unjust and against common sense. He pointed out that imposing a minimum of seven years to be eligible for the pension is the only positive thing about the bill. Jordanians were very critical of the parliament’s plan. Abdullah Abu Wardeh a military retiree from Ajloun said the parliament was reluctant to reasonable financial benefits for teachers last month because the Treasury couldn’t afford it “but when it comes to lawmakers’ interests, the Treasury can afford to pay millions.” Some urged the parliament to propose development schemes and forget about enriching themselves from the public coffers. Written by: Jaber Ali on September 16, 2014. Posted by Jaber Ali on Sep 16 2014. Filed under Gulf News, Headlines. You can follow any responses to this entry through the RSS 2.0. Both comments and pings are currently closed.